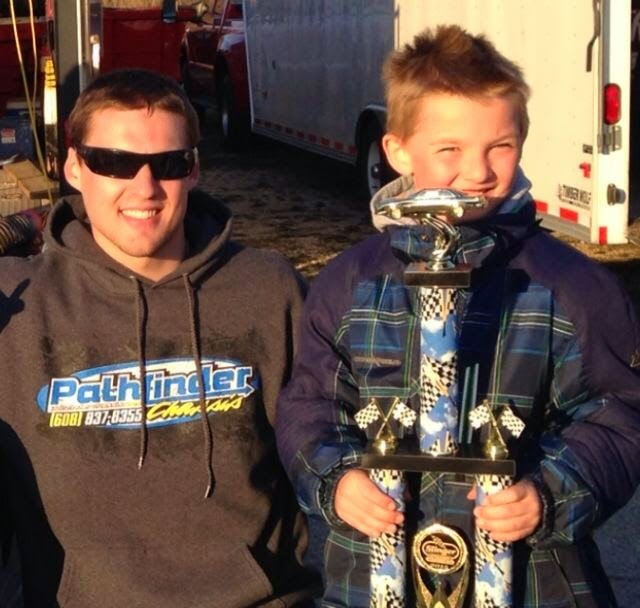 Alex Prunty Racing: Week 1 In Slinger Turns into Win #1 of 2015! 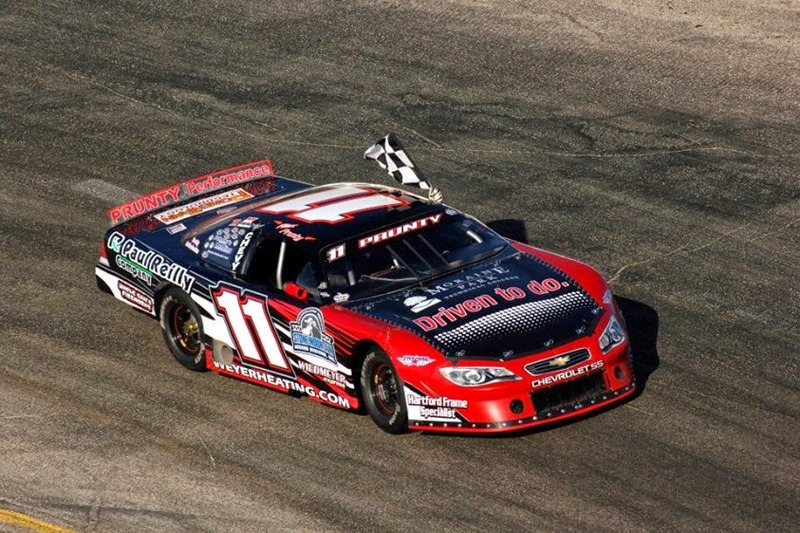 Week 1 In Slinger Turns into Win #1 of 2015! Alex Prunty and Casey Johnson battled for the lead throughout the 40-lap late model feature before Prunty was able to edge ahead at the finish and record the victory. Johnson led the opening laps over Ryan Zielski, Jordan DeVoy, Mike Held, and Prunty before the first caution flag waved when Zielski spun off turn four after contact from Held. As racing resumed, Johnson and Prunty traded the lead over the next several laps as both drivers used both the high and low grooves to work their way by one another while DeVoy occupied third ahead of Jerry Mueller and Brian Holtz. With close contact racing occurring through the field, a spin by Duke Long on lap 27 drew the second caution flag of the race with Prunty leading over Johnson and DeVoy. Prunty and Johnson resumed their lead battle on the restart with Prunty edging ahead just before the caution waved again two laps later when Corey Funk looped his car on the front straightaway. After another quick caution on lap 31, Prunty and Johnson picked up just where they left off and again battled hard for the lead. Prunty eventually prevailed while Wayne Freimund and Jerry Mueller went to war for the fourth position. Their battling allowed Mike Held to charge by while Prunty maintained his lead over Johnson and DeVoy. Prunty held off Johnson and drove to the victory while Johnson finished a close second just ahead of DeVoy who turned in an impressive performance by finishing third. Mike Held was fourth and Jerry Mueller edged Wayne Freimund for fifth. Wayne Freimund won the 20-lap late model semi-feature over rookie Joe Bongiorno and Jack Stern. Tyler Schley and Jake Vanoskey rounded out the top five. Late model heat races were won by Jack Stern, Al Stippich, and Casey Johnson while Alex Prunty set a new track record in qualifying with a lap of 12.065 seconds.